With GrabFood’s sandwich delivery service, grabbing a sandwich is as easy as 1, 2, 3! When you’re in need of some food but you’re strapped for time, a sandwich is a perfect solution for your hunger pangs. Not only is a sandwich one of the easiest things to eat, but it also provides nourishment to cater to your dietary needs. Sandwiches nowadays are more than just some ingredients slapped in between two slices of bread, they are pure towers of art! Imagine a sandwich bursting at the seams with all your favourite trimmings, doesn’t that make you drool? From the classic ham and cheese to the more hearty beef sandwich, there’s definitely a sandwich to fill your stomach. With GrabFood’s sandwich delivery service, grabbing a sandwich is as easy as 1, 2, 3! Sandwiches make the ideal meal for any occasion, at any time of the day! Start your day off right with a sandwich to give you the energy you need to power through. Or when lunchtime comes around but you have an upcoming meeting or a deadline to meet, a sandwich serves as a quick and fuss-free meal on-the-go. Great for boosting your depleted energy levels for your remaining work day! Perhaps you’re feeling peckish in the middle of work? Take a well-deserved break and have a light snack in the form of a sandwich for tea. Not to mention, sandwiches make great finger food to jazz up any fun party. The possibilities to enjoy a sandwich are endless. Whether you’re looking for Halal, healthy or vegetarian sandwich options, there’s surely something to suit every preference. As more restaurants are becoming Halal-certified, finding a sandwich that’s Halal is no longer an issue. The health-conscious also have reason to cheer. 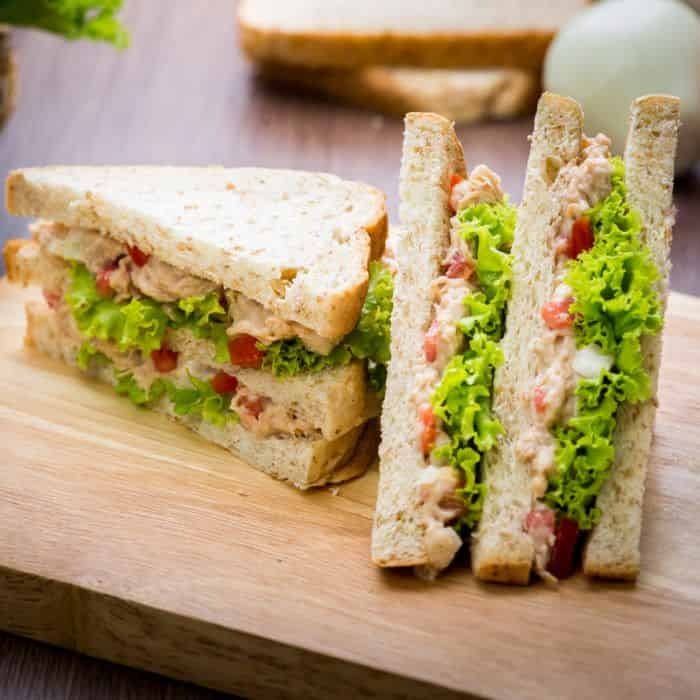 Besides including nutritious ingredients such as salmon and avocado, sandwich bread has been elevated to healthier kinds that include grains such as oat or sunflower seeds. Healthy doesn’t mean compromising on taste, however, so you can be assured that your sandwich isn’t any less yummy. Vegetarians now have a greater variety of sandwiches to choose from that are as flavourful as their non-vegetarian counterparts. 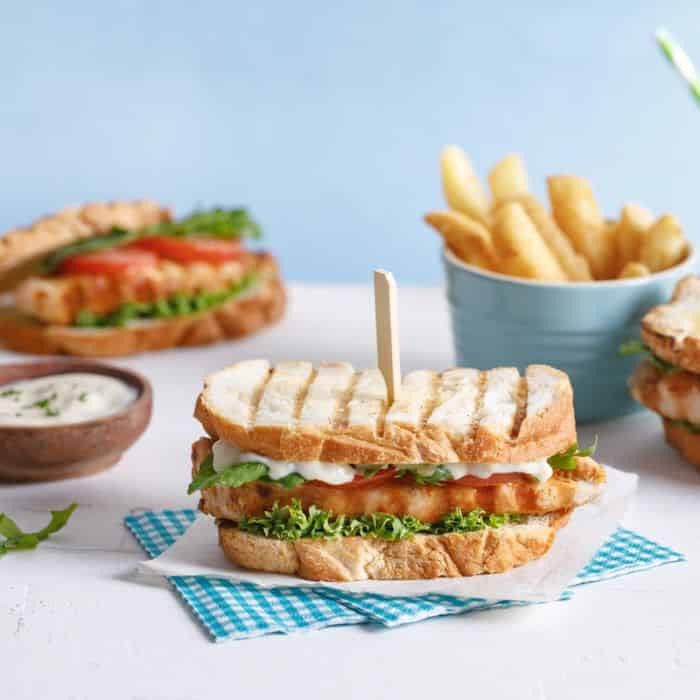 Kraftwich by Swissbake: For wholesome sandwiches that are both Halal and healthy, this is your go-to place! The popular selection includes Turkey Ham & Cheese, Smoked Salmon, Caesar Chicken and Beef Pastrami. Vegetarians can choose from options such as the mouth-watering Avocado and Cheese or Avocado and Tofu. Rocky Master: Another Halal-certified restaurant to check out, their sandwiches are served with fresh coleslaw and salsa. The Grilled Veggie sandwich consisting of grilled zucchini, eggplant and bell pepper with olive oil and mixed herbs topped with cheese is great for vegetarians! The meaty Roast Striploin Beef sandwich and the interesting Tuna & Apple sandwich are also highly recommended. Picnic: Vegetarians will enjoy The All-Time Classic, an appetising sandwich with aged Gouda cheese, sautéed mushrooms and onions. Other sandwiches include the decadent Signature Lobster Grilled Cheese filled with generous lobster meat and melty gruyere cheese, and The Buffalo Bill, a shredded chicken sandwich with cheese and hot sauce. For a speedy sandwich meal that’s both filling and delicious, order from GrabFood’s food delivery app today! There’s no fuss with the app’s easy-to-use interface – your sandwich order will be prepared and delivered in a jiffy.